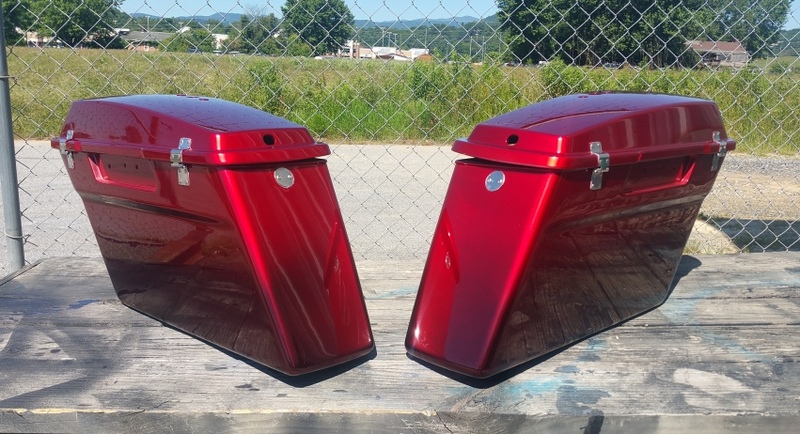 One of the recent motorcycle paint jobs we’ve done was on these Harley- Davidson parts. 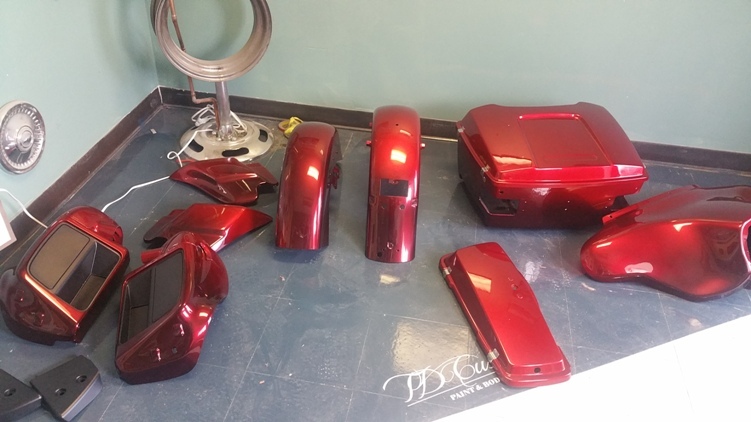 The owner went with a custom fade paint job using candy apple red. 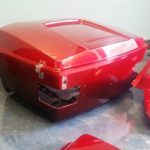 The pieces go from a lighter candy apple red on top to a darker cherry red on the bottom. You can see how the colors go from light to dark. Both shades of the red look vivid and eye catching. The variation is visible both outside in the sun or in the shade. 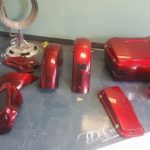 How a fade paint job is done depends on the colors being used. 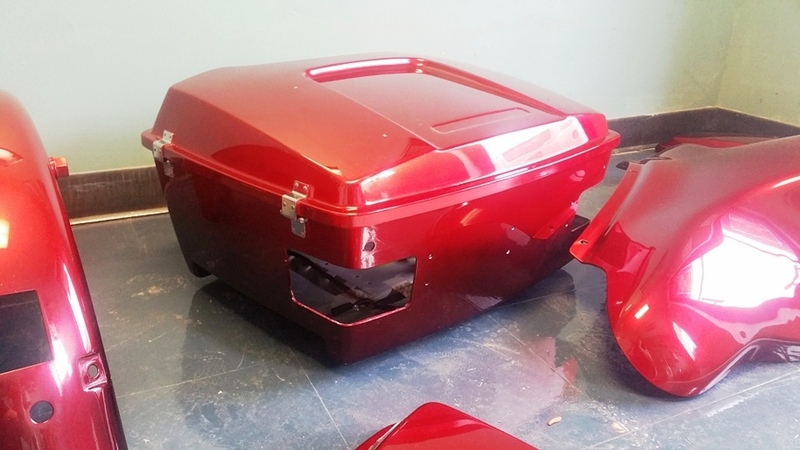 The owner wanted it to be a subtle red fade paint job. 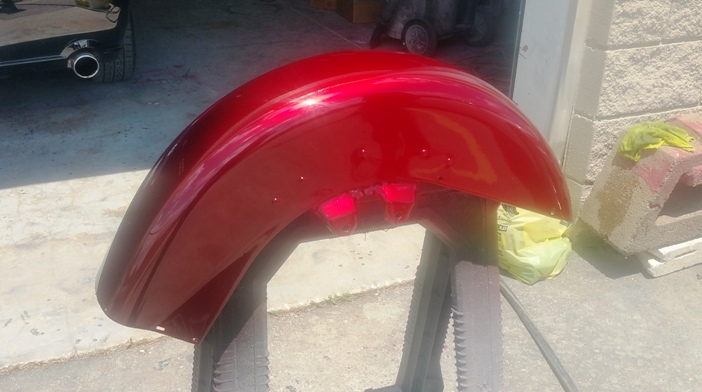 Therefore, we used candy apple red throughout the entire paint job, but changed the base coat to create the gradient. The top has a silver base, while the bottom has a black base. 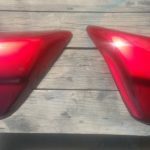 We can also use this same method to do the same type of fade paint job with different colors. 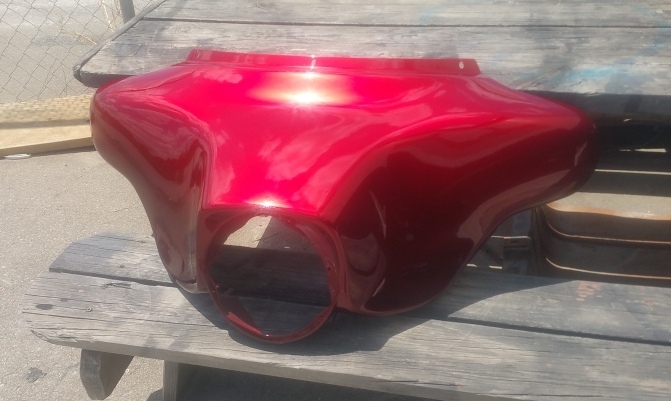 After the custom paint job, everything gets a top clear coat, and a buff and polish before it’s officially done. The end result looks great. It’s a subtle look, but something that makes people take a second glance and really notice it. 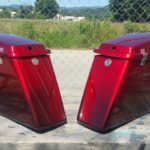 It’s a paint job you won’t see on everyone else’s bike, which makes the motorcycle a little more custom than your average Harley. The owner said he would bring the entire bike by the shop when he was done putting it all together. We always like when customers come back to show us how everything looks on the bike. 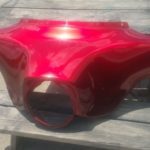 TD Customs does all kinds of motorcycle paint jobs, from replicating factory original looks or painting something completely custom. It all depends on personal preference. 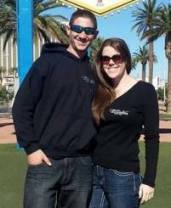 Let us know what your vision is, and we’ll do our very best to make it happen! 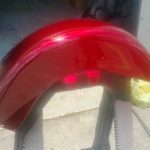 No Replies to "Fade Paint Job on Harley Motorcycle"